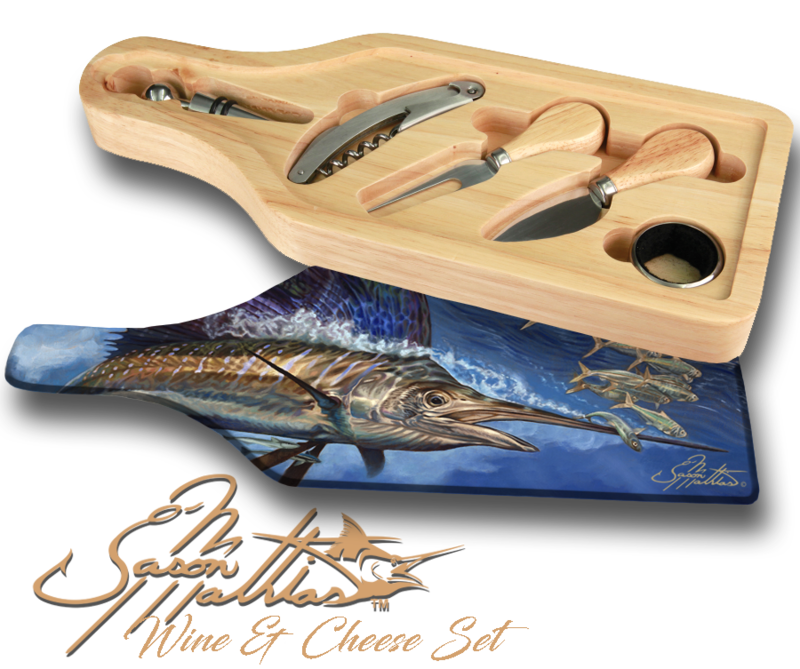 These beautiful Jason Mathias handmade Wine and Cheese 6-Piece Set Cutting Boards add the perfect accent to your home or yacht. - Includes: glass cutting board top, corkscrew, stopper, drip collar, cheese knife and fork. - The case has a recessed area for the cutting board to fit. It will lay flush with the wood edge. Cutting board: 12 1/2" x 4 1/2", Overall size 13 1/2" x 5 1/2"
ALL SETS ARE MADE TO ORDER AND SHIPPED USING USPS. DELIVERY TAKES 2 WEEKS OR LESS FROM THE TIME OF YOUR ORDER.